I started out a natural auburn. Then, with pregnancy, my natural haircolor started to darken, and was growing out a dark brown. 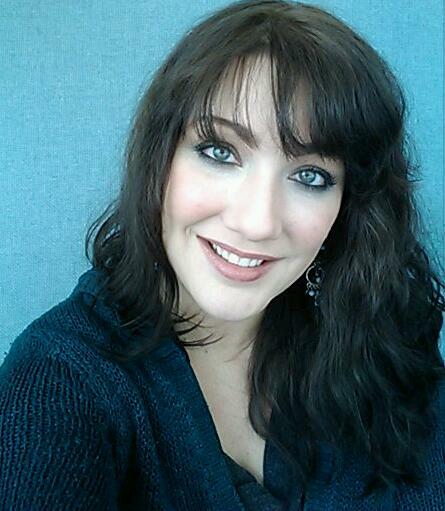 To match my new roots to my length, I went dark brown on the length. I loved how the dark brown looked, and thought, hey, if dark brown looks good, black would look even better! Right? Ummm, not so much. It looked okay in pictures, but looked quite stark in real life. I finally admitted to myself that I had made a mistake going black, and decided to return to a lighter color. So, I had to start stripping out the dye. I used one application of Color Oops, and got the black dye out. The color did re-darken after a day. I waited 2 days from the first application and used another application of Color Oops, and got the brown dye out. 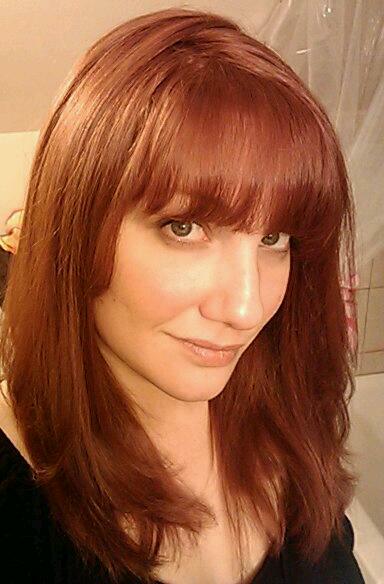 I thought I'd try out red, so I re-dyed my hair the same night. 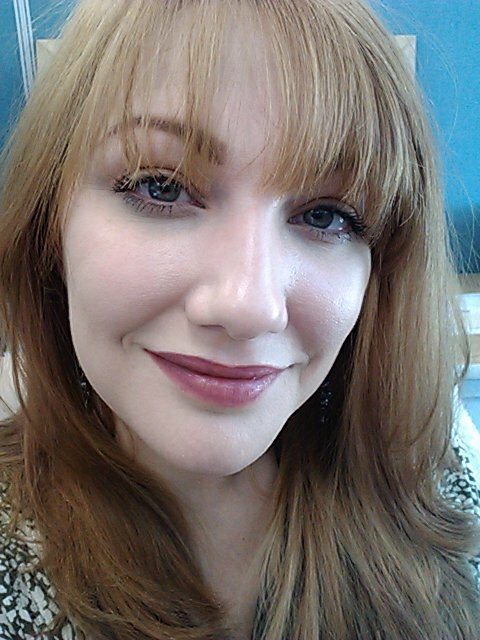 I dyed it with Strawberry Blond by Revlon. 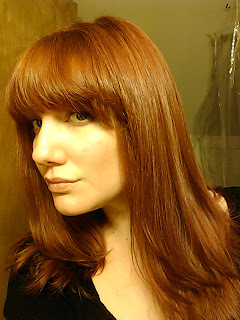 Unfortunately, it turned out dark brown with a red overtone, with copper-red roots. That was not the desired result. You couldn't really see it in pictures, though. Apparently, there is a danger of re-coloring after using ColorOops, in that the new dye will re-activate the old dye and undo the lightening you just did. I got some ColorZap, and whoa Nelly, did that ever work! 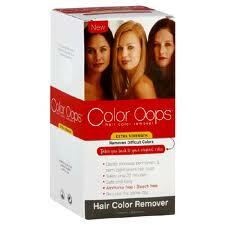 I used this one week after using the ColorOops. 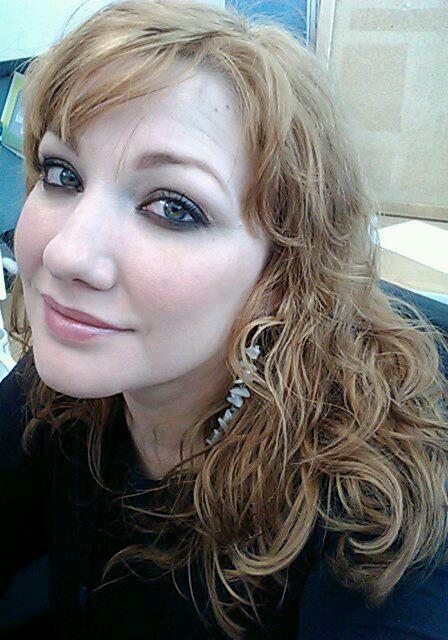 I was now a bright orange-blond at the roots, darkening to strawberry blond at the ends. I wore that for 2 days to give my hair a break. My camera washes out color, so you have to imagine a more orange, bright hue going on. I missed a few spots, so the color was not uniform. Had the color been uniform, I probably would have left it alone for a month or so to really give my hair a break from all the chemicals. It was pretty, though, and I contemplated heightening the orange color with Manic Panic temporary dye instead of a permanent color. 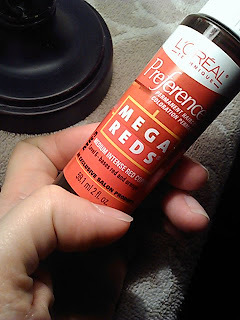 But, I decided to choose a more work-friendly color (*sighs*) Finally, I applied L'Oreal Preference Mega Reds MR3 Medium Intense Red Copper to the roots, and then to the lengths. I used a 20% developer. My result is exactly what the dye name says it should be, a medium toned, INTENSE Red Copper. My hair is brighter red than these pictures show. 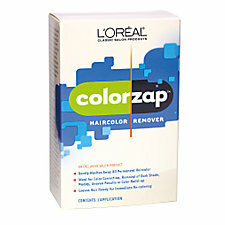 Color Zap beats Color Oops if you are planning to re-color. Otherwise, Color Oops does seem to be more gentle to the hair than Color Zap, but be prepared for the hair to re-darken a bit. Didn't seem to damage my hair at all. Did remove most of the color. Did re-darken over the following days, but did not go all the way back to the original color. Ends got pretty dry, but I did not experience any breakage. Removed all of the dye everywhere that it touched. Re-dye did not turn out darker than expected.